The Ombudsman Program is a service to assist members in resolving disputes. It could be a perceived violation of the REALTOR® Code of Ethics or it could be a monetary dispute or involve technical or procedural questions. We do not become involved in consumer to consumer disputes, only those between two agents or between agent and consumer. If the broker of the errant agent has been contacted with no resolution, then we offer the Ombudsman service as an alternative to filing a formal complaint. We have an Ombudsman Presidential Advisory Group made up of peer agents who are former Chairs of the SAR Grievance Committee and who now serve as members of the SAR Professional Standards Committee. These individuals have received professional Ombudsman training and one of them is assigned by the Assistant Executive Vice President at the Association office to assist with a complaint. What the Ombudsman does not do. The Ombudsman does not adjudicate, give legal advice or offer their personal evaluation of the situation. The key for a successful mediation is for the Ombudsman to determine the ‘desired outcome’ and then facilitate discussions to that end. The Ombudsman service is not utilized for matters of arbitration. A description of the conflict. 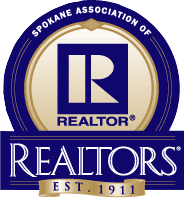 Email the information to SAR@SpokaneRealtor.com or call the SAR office at (509) 326-9222. An Ombudsman will be assigned to you and will attempt to contact you within two business days. All contact will be initiated by the Ombudsman.